The Federal Dependencies of Venezuela (Spanish: Dependencias Federales de Venezuela) encompass most of Venezuela's offshore islands in the Caribbean Sea and the Gulf of Venezuela, excluding those islands that form the State of Nueva Esparta. These islands, with a total area of 342 square kilometres, are sparsely populated – according to the preliminary results of the 2011 Census only 2,155 people live there permanently, with another hundred from Margarita Island who live there seasonally to engage in fishing. Local government is officially under the authority of the mayor of Caracas, although de facto power is often held in the heads of the sparse and somewhat isolated communities that decorate the territories. 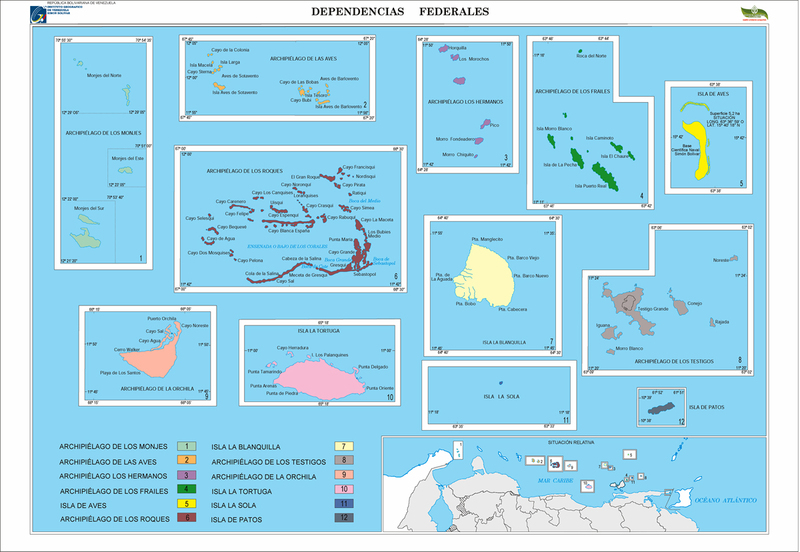 The federal dependencies are composed of 600 islands and smaller formations; many have an area of less than 10,000 square metres and are essentially simple rocks. The largest island, La Tortuga, accounts for almost half of the territory of the federal dependencies. 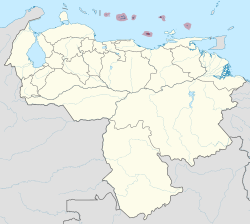 Dependencias Federales stretch for 900 km (560 mi) along the coast from Archipiélago Los Monjes in the west at the Gulf of Venezuela to Isla de Patos southeast of Isla Margarita at the Gulf of Paria in the east. The World Geographical Scheme for Recording Plant Distributions groups the islands, excluding the abyssal Aves Island, into an area it calls the "Venezuelan Antilles" (Level 3 code "VNA"). Note A: within the Dependencias Federales, the Archipiélago Los Roques, the Archipiélago Las Aves and the Isla La Orchila together comprise the Territorio Insular Francisco de Miranda, which was established on November 10, 2011.